When the field of culinary arts began to find its way to the top, many schools offered courses and cooking classes in culinary arts. Many professional also shifted their career to this field because it is a lot better compared to other careers when it comes to pay. Culinary Academy of India, Hyderabad: It provides the students good quality of education with complete tools, facilities, and equipment to become good chefs who are proud about the art of cooking. College of Hospitality and Tourism, New Delhi: It’s one of the best pastry and cooking schools in India. Students have the opportunity for world-class luxury hotels internship throughout the world. International Institute of Culinary Arts, India: It one of the top rated and leading institution in cooking , media, fashion, arts, and design. Bhakti Industrial School of Cooking (BISCB): This cookery school is committed to prepare the students with the best cooking skills. They are envisioned to create world class chefs who will be good enough to take job responsibility. Mumbai College of Hotel Management and Catering Technology, Mumbai: It is a very good training ground for people who are into the fields of hospitality and culinary. Institute of Hotel Management (IHM), Aurangabad: This institution is focused on hospitality education. It is actually sonsidered as the most sought after Institute of Hotel Management in Asia. The institution has also been nominated as one of the 8 leading hotel schools of the world. It offers a 4-year course in BA (Hons) in Culinary Arts. FHRAI Institute of Hospitality Management: The school is located in Greater Noida and it offers BA program in Culinary Administration. They monitor the performance of each student enrolled in any of their programs. Nimmy Pauls Cooking School, Kochi: This is a personal kitchen of Chef Nimmy Paul and although it is not that big it is rated by Gourmet magazine as one of the best cooking schools in the world. There are no formal classes here so students can choose any class that suits to their schedules. There you have the best cooking schools in India. 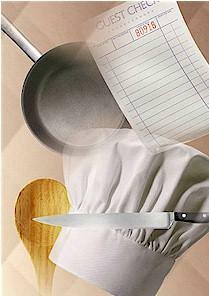 If you have the passion to create new recipes and cook food, maybe culinary art is for you. Give it a try! Culinary academy of India is THE BEST CULINARY SCHOOL IN THE ASIAN CONTINENT. I’m doing my Post Graduate Diploma in Culinary Arts from Culinary Academy of India after completing my Hotel Management from National Council in Delhi. I’m very impressed and fortunate to make it to the Poct Graduate Diploma in Culinay Arts course in CAI as I can see that the faculty, infrastructure, international placements and also the method of practical hands on training is very very good. Culinary Academy Of India is the Pioneer and Leader In Culinary Arts Education in India. Its the only college in India which has craft, bachelor’s and Post Graduate levels of certifications all at one place.CAI is the first institute in Asia to offer an Univeristy affiliated Post Graduate Diploma in Culinary Arts.CAI is also ranked 8th BEST CULINARY SCHOOL IN THE WORLD BY THE ASIAN CORRESPONDANT. Thanx for the link to the short list of Culinary arts school in Ca. We are planning a tour for 2011 and desire cooking school venues along the western seacoast of North America and are approaching the schools next month for same. Thanx again.